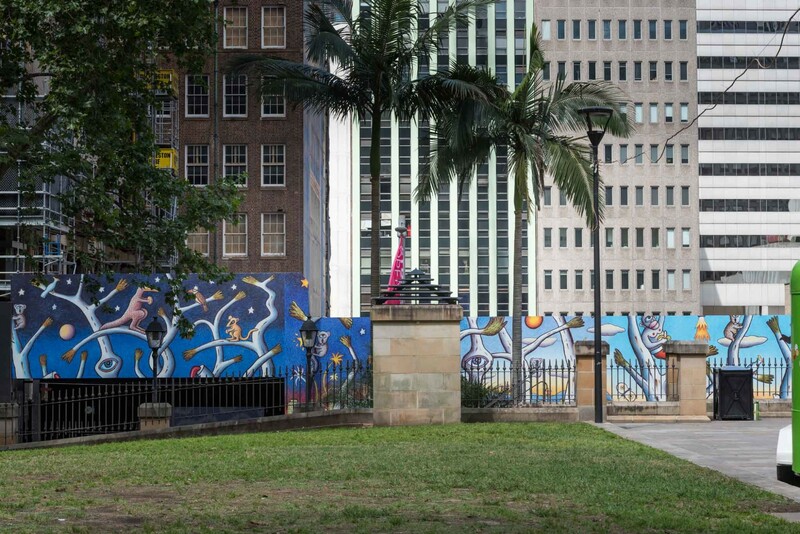 Eyes on the horizon: the dynamic art of Chris O’Doherty (aka Reg Mombassa) at Wynyard Place, Sydney. Some of the most distinctive art produced over the past few decades in Australia has come from the inimitable mind of Chris O’Doherty (also known as Reg Mombassa). Chris first came to public attention as a guitarist with Mental As Anything, the band he formed in 1976 with his brother, Peter, and fellow artist Martin Plaza. In 1985 he joined Mambo, creating his unique graphics for posters and clothing that are known worldwide. His work is celebrated for its creative and often darkly humorous and sometimes surreal approach to themes including politics, religion, history, and pop culture. 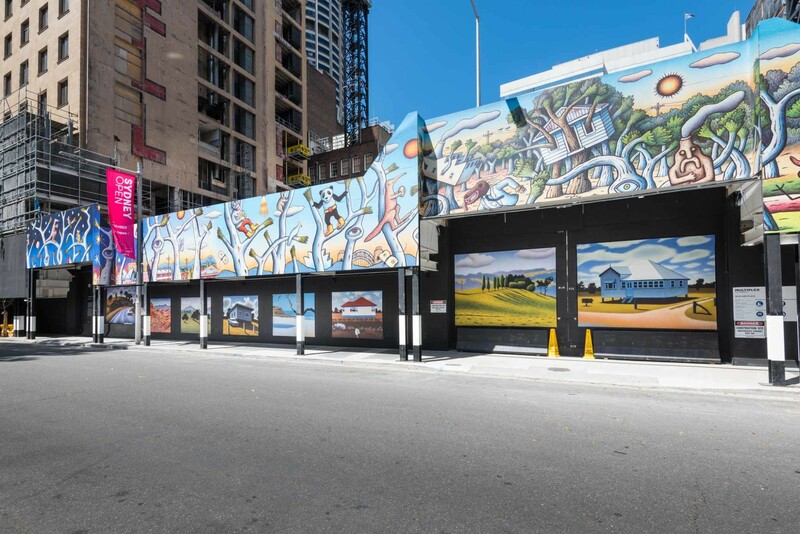 Commissioned by Arts Brookfield, Chris’s work can now be seen around the site of Sydney’s next significant commercial and retail development at Wynyard Place, providing a colourful community engagement opportunity and offering a playful sense of escapism for workers, tourists and residents alike with its memorable imagery and poignant scenes. 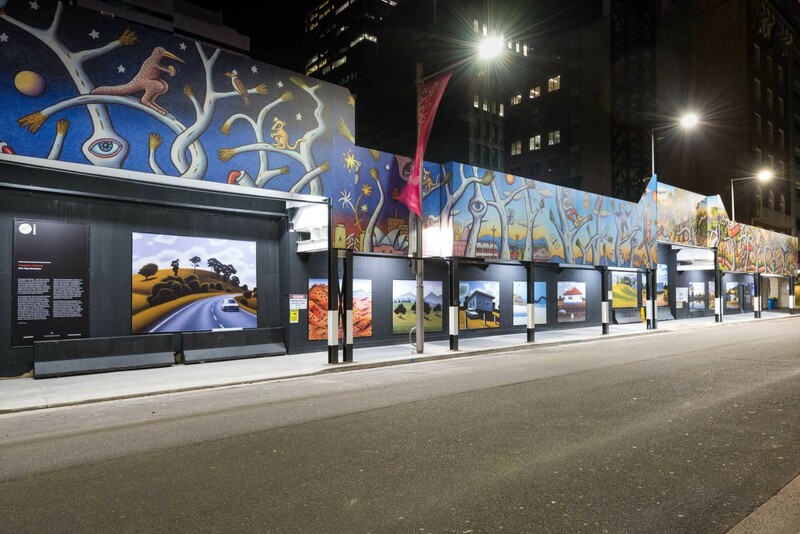 Adorning the ground level hoarding around 10 Carrington Street is a curated selection of 11 of Chris’s works, chosen from his four-part series, named Hills, Houses, Roads and Water, and displayed in an eye-catching gallery style. The artworks are unmistakably evocative of Australian life and landscapes and are all based on actual places in New South Wales. 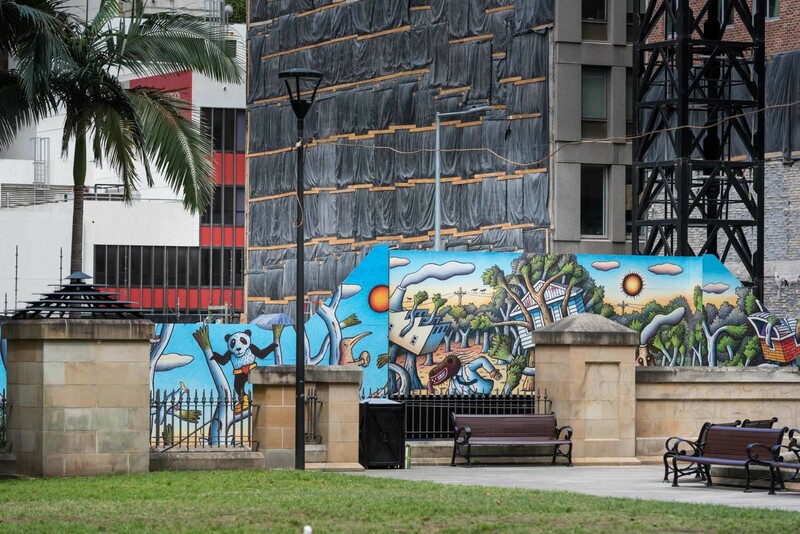 Injecting further vitality into the area is Chris’s large-scale continuous mural artwork, displayed above street level on the facia, and featuring a host of his stylised dreamlike characters and settings. 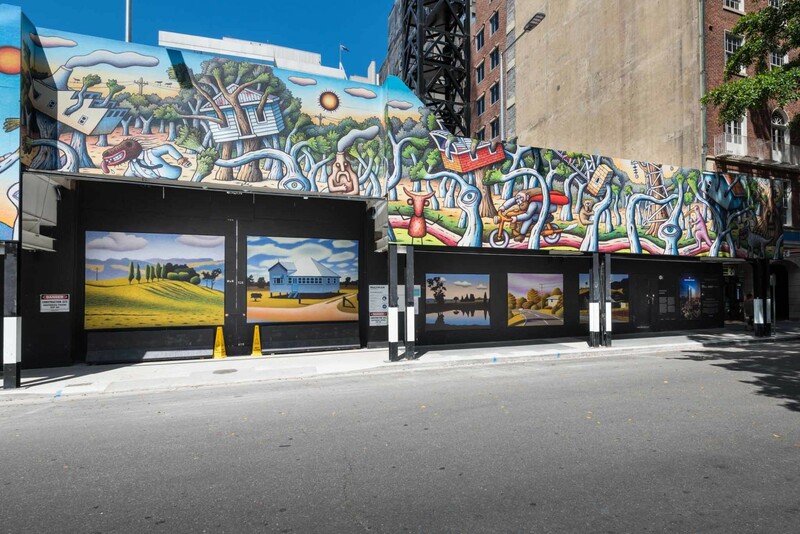 The works will engage a wide audience, being located opposite a major bus stop that sees thousands of workers arriving and departing from the city each day. 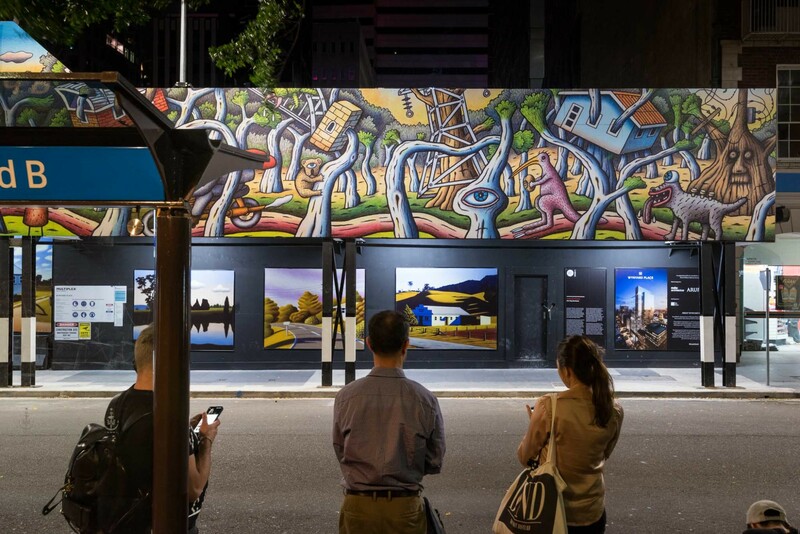 This arts initiative is brought to the people of Sydney by Arts Brookfield and has been curated and produced by aMBUSH Gallery (an initiative of Wiltshire + Dimas Management).